The Medical Managed Care team member (Liaison, Associate Director or Director) serves as the medical scientific lead for population-based healthcare decision makers to facilitate scientific exchange on disease state management and the value of Sanofi Genzyme products, to provide insights to internal teams on key evidence gaps relevant to healthcare decision-makers, and to identify/facilitate research, education, and other collaborations per applicable SOPs. This position represents the MS and Immunology franchises serving as the MMC lead for assigned strategic regional accounts. 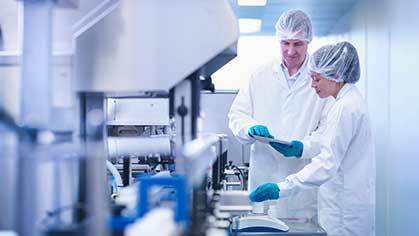 The MMC assists in providing medical leadership and expertise to sales, marketing, legal and regulatory functions for marketed products and compounds in development. 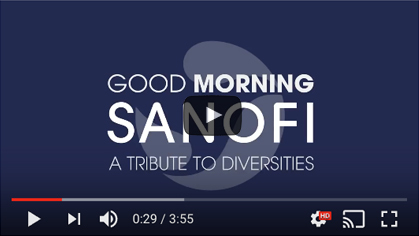 The position supports the strategic and cross functional alignment within the organization in order to achieve the medical mission of safe and appropriate use of Sanofi Genzyme therapies. The MMC assists in the development of Integrated Medical Plans through collaboration with Medical Communications and Publications, Medical Science Liaisons, and Health Outcomes personnel for assigned products. In particular, this position serves as the MMC field strategic lead for multiple sclerosis and immunology, and, in doing so, liaises with the respective therapeutic area medical units and other internal stakeholders to provide input and to develop and implement field strategy, tactics, and associated resources and training needs for the MMC team. In partnership with multiple internal stakeholders, the MMC aids in developing short and long-term strategies to integrate and advance the communication and needs of the oncology specialty community. This position reports to MMC, Regional Director- West and is a member of the Sanofi Genzyme North American Medical Affairs team. Serve as medical scientific lead for assigned healthcare accounts and organizations. Identify, develop and maintain credible scientific partnerships with key medical, pharmacy, quality & health economics/outcomes/analytics healthcare decision-makers and opinion leaders within assigned accounts. Lead development and execution of customized medical account plans for assigned accounts in alignment with current Sanofi-Genzyme medical strategies and tactics and per approved policies, procedures and guidelines. Facilitate scientific exchange, education and provides access to medical, health policy, and health economic information (e.g., clinical presentations, dossier, budget impact models, etc. ), and tailor information to meet the evidence needs of healthcare decision-makers, in alignment with current medical brand strategies and in a compliant manner. Collect and share customer insights and evidence gaps that help to inform and advance product portfolio development and customer engagement, including medical brand strategies, customer educational needs, scientific/health outcomes communications, and research priorities. Director level MMC will assist in developing insights into strategy. Develop key medical contacts related to clinical, evidence-based disease management/health outcome initiatives, aligned with overall medical brand strategy. Director level MMC will develop strategic medical partnerships and serve as mentors to MMC team members. Identify key contacts with applicable national/regional/local medical, payer, and advocacy associations. Provide support for Sanofi- Genzyme scientific advisory boards and symposia. Attend and participate as appropriate in corporate and scientific conferences. Director level MMC will provide input and serve as leads. Work cross-functionally with US Market Access (USMA) Account Director team, as well as field commercial teams when needed and as appropriate, to coordinate engagement of and response to customers’ medical/scientific needs including alignment with additional Sanofi-Genzyme resources (e.g., Medical Directors, Brand Team member, HEOR/HEVA, or other functions). Provide input to the Medical Managed Care Team for the development and delivery of field tools, resources, materials and training (e.g. product dossier, economic models, slide kits, articles, review summaries etc.). Director level MMC will provide support and lead the development and delivery, including associated budget management. Serve as mentor/preceptor for fellows and students. Associate Directors and Directors will have added mentor responsibility for other MMCs. Facilitate the development and placement of appropriate clinical/ health outcomes and population health management studies with appropriate field and home office collaboration and support that is consistent with all applicable policies, procedures, and guidelines. Contribute to the organization and submission of outcomes research project data for presentation at scientific congresses and authorship in scientific publications. In alignment with the Medical Managed Care Team Education and Training leader, provide internal training and share expertise on scientific, health policy, and HEOR data to appropriate stakeholders. Knowledge of HEOR disciplines, and basic understanding of biostatistics and evidence-based medicine required (i.e. research methodology, developing clinical protocols, clinical reports, etc.). Excellent organizational skills and the ability to prioritize and work effectively in a constantly changing environment in both an independent and collaborative manner. Demonstrates a customer service mindset and the ability to gain insights and identify customer needs and opportunities. Demonstrated ability and knowledge to effectively communicate medical, scientific, health economic, and business information to internal and external stakeholders. Education: Advanced degree required; Doctoral degree - MD, PharmD, or PhD (clinical) strongly preferred; MBA or additional degree in health economics, health outcomes, public health or health policy is a plus. Pharmaceutical industry, managed care experience, or similar organizational required (e.g., field based medical/HEOR, value-access, market access) (2 years for Liaison level; 3-5 years for Associate Director level; > 5 years for Director level).